Ironic t-shirts have had their run. There's only one group of people that look good wearing graphic tees and they're 8 years-old. We need to clean out our closets and donate those ridiculous shirts to the local thrift store. If you don't mind looking like a preteen, keep wearing the hilarious tees. Otherwise, I've got a quick and easy way to look better without breaking the bank. The outside world stigmatizes computer programmers as a group of fat, sloppy, loners who want to be in a basement to coding 14 hours a day. The only way to break those stereotypes is by showing people that we care about our appearance. Lookism is real. There are several books on the subject. Many studies have shown that attractive workers earn between 3 and 10% more compared to their colleagues. Dressing better doesn't mean you have to dress fancy. Suit and ties are rarely needed (unless you work in New York City). 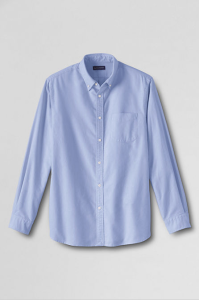 I've come up with a few fundamental pieces to get your wardrobe into better shape for less than $200 total. For each piece, I'll give two options to help with any dress code or color options that might work better for you. 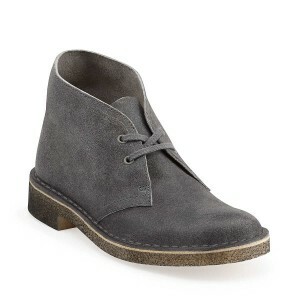 Get a pair of Clarks Desert Boots in either Beeswak or Taupe Suede. If you buy nothing else, buy these. 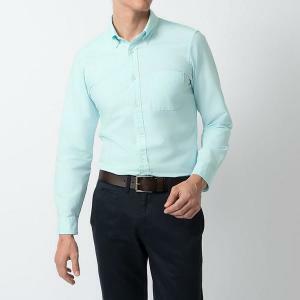 They are versatile and look great with jeans, khakis, and some dress pants. 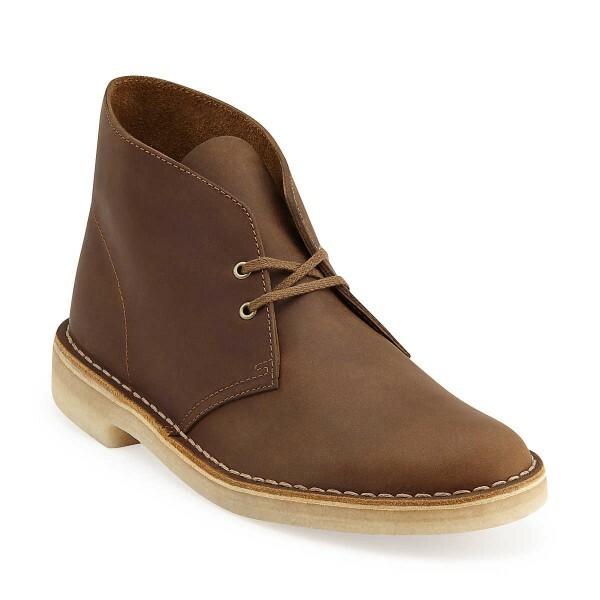 If you have to wear business casual to work, the Clark Desert boots will work better than any other shoe in your closet. I find them comfortable even after working at my standing desk for 8 hours a day, 2-3 days a week. For a quality boot that will last you for several years, they are a great first buy for only $80. I'm lucky to work at a company without a strict dress code. If I want to wear jeans every day, I can. Unfortunately, not everyone is in the same situation. For pants, I have a jean and khaki recommendation. 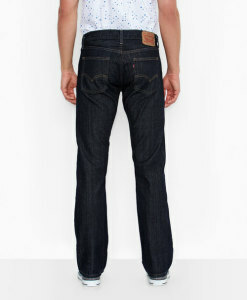 The jean is the Levi's 514 Straight. There are several Levi's jeans that I recommend. Any of the ones in the Skinny/Slim/Straight categories will work. I find the 514s are a good first step for someone that wears larger jeans and isn't ready for super tight fit jeans. I recommend getting one of the darker colors, especially 'Tumbled Rigid.' 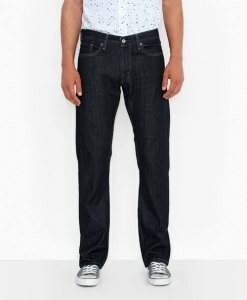 Currently, they are sale at levi.com for only $40. If you can't wear jeans every day to work, i recommend Docker Alphas. 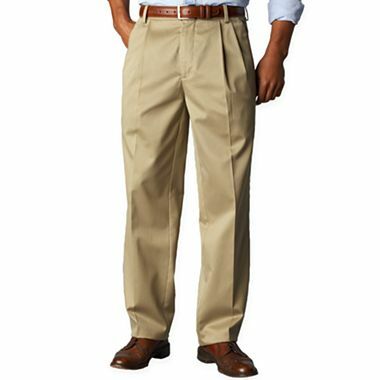 Forget your father's khakis, these are slim fitting with no giant pleats. 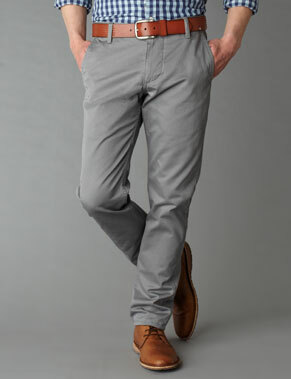 I've gotten a lot of compliments on them and they are a great pair of pants for $50. 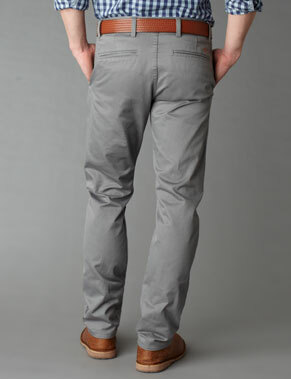 If you're worried about slim fitting pants, look for the Docker D1s. A good fitting Oxford Cloth Button Down (OCBD) is a classic piece that looks good all year round. Wear it under a v-neck sweater, a nice blazer, or by itself with the sleeves rolled up. Be wary of OCBDs that are too large. The better the fit, the better they look. The guys at PutThisOn.com did a great series on OCBDs with a lot of reviews and recommendations. Because I want you to look good while keeping it affordable, my selections are both less than $40. When it's in stock, Uniqlo's slim fit OCBD is my favorite. It's $30 and looks great on someone with a skinny or athletic build. 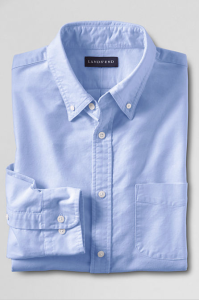 For an extra ten dollars, you can get the higher quality Lands' End Tailored Fit OCBD. It's not as trim fitting but will fit most men well. Add a simple brown leather belt and some funky socks to your outfit. All these pieces work well for work, school, or even date night. For under $200 you've got a great starting point for a versatile wardrobe.